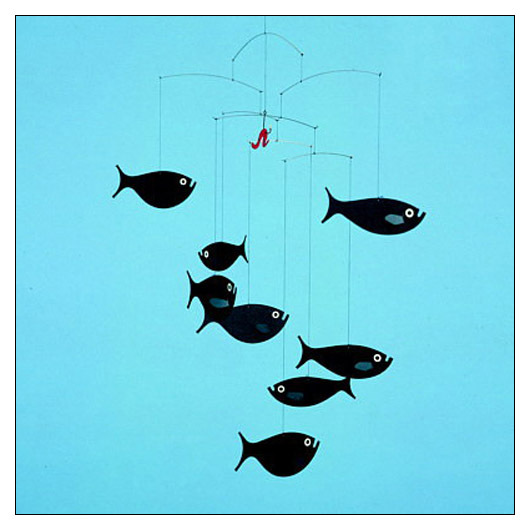 Shoal of Fish Mobile (FMFISH) at Pure Design / Accessories / Flensted Mobiles ::: Furniture for the Home, Office, Home Office, and More at Pure Design Online! Watch as eight black fish swim effortlessly after a dangling red worm. 18.75" x 4.25" x 1"